I am a qualified Food Technology teacher and look forward to teaching you how to cook delicious food from scratch. I have always loved to cook! There is nothing more satisfying than creating a delicious home cooked meal and watching your family and friends enjoy it. It was as a teenager sat in my cookery class at school that I decided that I wanted to be a cookery teacher. I qualified at F.L. Calder, Liverpool and have taught in several schools in the Fylde and Lancashire over the years. I have taught all years from year 7 to ‘A’ level Food Technology. I recently decided that it was time to relax a little, leave the classroom and as a result have set up cookery classes from my home. So for those of you who would love to learn to cook these classes are for you. You may be a beginner or quite experienced looking to expand your horizons. 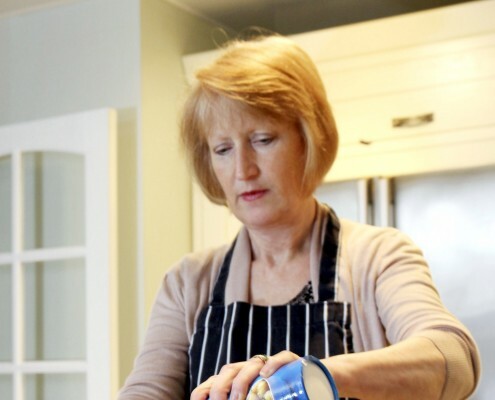 In my kitchen in Lytham St Annes I look forward to being able to pass on my love of cooking and knowledge that will help you to become a more confident and proficient cook.